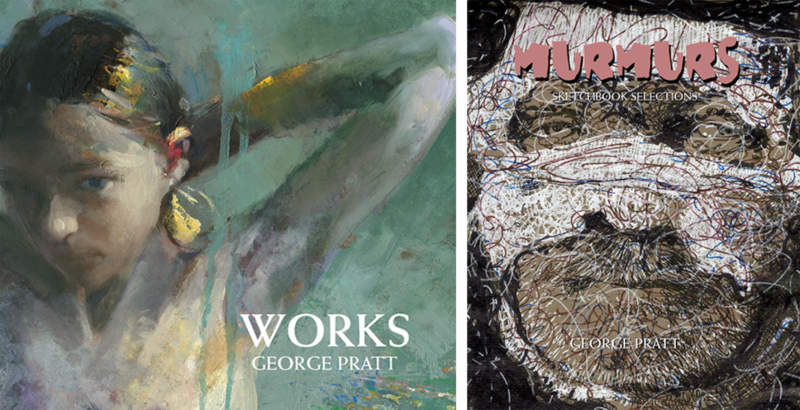 "WORKS" & "MURMURS" ARE HERE! The 40-page "WORKS" and 36-page "MURMURS" volumes are here! Click on the Images above for detailed descriptions and information on how to purchase! My friend, George Pratt, has it all. He has craftsmanship, draftsmanship, plus the need and the motivation to be an artist. That’s what it takes. I think a serious artist is always searching for something, but rarely knows what. That “something” can’t be found by just thinking, though. It’s found with exploration and hard work. George is constantly drawing, painting, observing, experimenting and reaching further which is what makes him exceptional. I’m always excited to see what new ground he is breaking. Have returned from my trip to Morocco and am hard at work on paintings inspired by the sights. Thank you to everyone who helped make this dream trip possible through purchases in my shops. I couldn't have done it without you! The trip was wonderful and every person I met there was incredibly nice.